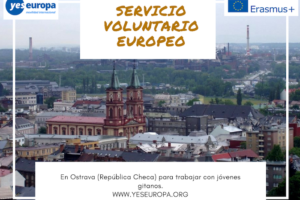 Aquí tenemos otra oferta que busca voluntarios guarderia en un proyecto sobre niños y jóvenes en guarderías, centro juvenil y escuelas de Polonia. Si quieres adquirir experiencia en un centro educativo en el extranjero y a la vez ayudar a los demás esta es tu oportunidad. 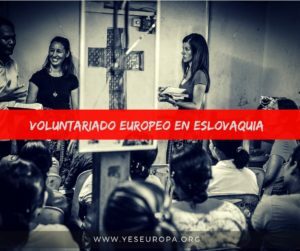 Lee la experiencia de los voluntarios europeos en este proyecto. The project also starts in September 2018 and ends in June 2019. The main aim of the project is to develop key competences and gain experience by being an EVS volunteer. Takin g p a r t in our project means working with kids, youth and local community. You will have a great chance to present yourself, your country and culture, participate in different workshops and activities. Join us to explore new possibilities, gain experience and have lots of joy! On behalf of the Association we would like to thank you for your interest. The main aim of the project is to develop key competences and gain experience by being an EVS volunteer. Taking part in our project means working with kids, youth and local community. You will have a great chance to present yourself, your country and culture. You will meet 17 volunteers from 10 different countries taking part in the other long-term EVS project. Join us to explore new possibilities, gain experience and have lots of joy! 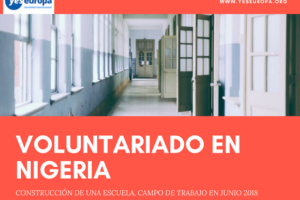 Our long term EVS project is concentrated on developing 8 key competences while doing various volunteer activities like working with kids, supporting the work of Regional Volunteer Centre and local nongovernmental organizations. 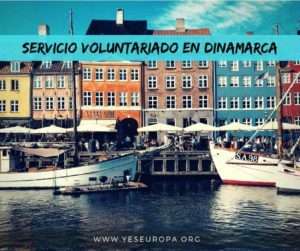 The aim of the project is, for you, to gain and strengthen mentioned competences and to promote voluntary service as an interesting way of spending free time. During this time you will be presenting your culture, country, ideas and creative approach in organizing activities for kids, youth and local community. You will have a chance to participate in many workshops that will help you develop the skills in working with kids, will show you the basics of management, Social Media, idea of being a volunteer. Those workshops will prepare you to work in the chosen area, which could be kindergarten, middle school or NGO office – depending on the specific project. We are a group of people with different interests, points of view and ways of life. But there is one thing we have in common – being active. Every day we are trying to convince people, young and old, that after work or school, there is a lot of interesting things to do. Our motto is: The active are living more attractive! We run several programmes like Regional Voluntary Service, Sektor 3 – NGOSupport Centre, Big Brothers Big Sisters. We are active in international level since 2007 as a sending, hosting and coordinating EVS organization and hosting forstudents and professionals from countries of Eastern Europe to Poland. Our long term EVS project is concentrated on developing 8 key competences while doing various volunteer activities like working with kids, supporting the work of Regional Volunteer Centre and local nongovernmental organizations. 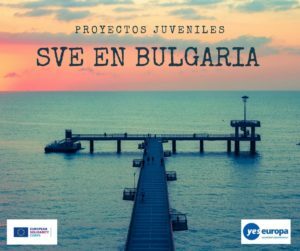 The aim of the project is, for you, to gain and strengthen mentioned competences and to promote voluntary service as an interesting way of spending free time. During this time you will be presenting your culture, country, ideas and creative approach in organizing activities for kids, youth and local community. You will have a chance to participate in many workshops that will help you develop the skills in working with kids, will show you the basics of management, Social Media, idea of being a volunteer. Those workshops will prepare you to work in the chosen area, which could be kindergarten, middle school or NGO office – depending on the specific project. 2016 is the 20th anniversary of EVS – we will celebrate this too. 14 volunteers in 4 kindergartens support the staff in taking care of the kids/ teaching basic skills such as personal hygiene and social skills, teaches basics of the native language, organizes and leads activities designed to promote physical, mental, and social development such as games, arts and crafts, music, and storytelling. 3 volunteers organize classes for students about language/ culture and traditions of various countries in the UE, supports pupils in learning foreign languages, carries out various activities about the EU, helps in running a school radio/ broadcasts the music/ trivia/ cuisine and culture of a given country, activates pupils in sport. 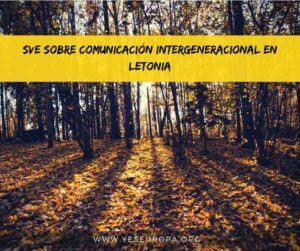 4 volunteer supports Regional Volunteering Centre and its’ programmes Big Brother Big Sister and Emergency Teaching, administrates our Social Media, prepares posters/ flyers, promotes the idea of EVS, writes reports, organizes courses of native language/ workshops (ex. Human rights)/ cultural events. WILL I GET ANY FINANCIAL SUPPORT FOR MY STAY IN POLAND? WHERE WILL I LIVE DURING MY STAY? Every volunteer who is taking part in the long term EVS in Szczecin is supported with pocket and food allowance money (not less than 170 Euro monthly). 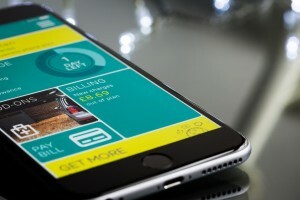 It means that for your stay you will receive the money for your expenses that you can use to buy the food for yourself, travel around, buy new clothes or visit an art gallery. You will be accommodated in rented flat with the access to kitchen and bathroom. All the kitchen appliances like forks, spoons, plates, pots etc. will be there also. Bills are paid by hosting Association. WILL I HAVE ANY HOLIDAY DURING MY EVS? Sure – you cannot work all the time. Being on EVS also means a chance of visiting many places or travelling around. Each month there are 2 days for you to use as days off. You can use them in the beginning of the month or in the end – your cho ice but you need to remember about one thing – if you do not use them, they will not be cu mulated. For a longer break you can use the holiday time that you receive for the whole project. Planning your days off or holiday is your idea and you can use them when you want or need. WHAT IF I WILL BE SICK OR NEED MEDICAL CARE? We wish you to be healthy all year long! However, in case that you will be sick, have a tootha che or any other ache – your CIGNA insurance covers the treatment. Every EVS volunteer is obligated to sign up for the CIGNA insurance. It should be done the latest 2 weeks before the project starts. Your Sending Organisation should support you with the procedure. What is important: read the CIGNA guide thoroughly to know if there are any cases when your medical care is not covered . HOW THE TRIP TO POLAND SHOULD BE ARRANGED? HOW MUCH DOES IT COST? through the education and voluntary Do not fear! There are few ways of how it could be done. First of all, you already know that the city of your project is Szczecin, Poland. You can start arranging the trip by yourself. If you face difficulties and need support – we are here for you! You can send us a message and we will do our best to find the best travel option. Also, do not forget about your Sending Organization. Who knows, maybe they know a cheap transport compa ny that goes directly from your home city? The cost depends on the available possibilities and your own choice. The exact amount of money that will be given to you will be known as soon as you see the Activity Agreement (a document about your project that you need to sign before the project starts). We will reimburse money at the end of your project. WHAT I SHOULD TAKE WITH ME IF I AM SELECTED FOR THE PROJECT? First of all, take all kinds of positive emo tions! Your new journey will start soon. There are few material things that you will need, though. Bring: all the personal hygiene essentials, towels, bedsheets, 2 pictures (size of your ID/passport), documents, clothes and shoes for every season, comfortable clothes for sporty activities. HOW WILL I MOVE AROUND THE CITY? HOW WILL I GET TO MY WORKPLACE? As your hosting organization we will buy a local transportation ticket for the time of your stay so you can move around the city freely. IS THERE ANY CHANCE TO STAY IN POLAND AFTER MY EVS? Of course, there is! We would be pleased to know that Erasmus + EVS works its magic and taking part in the project gives the possibility to find a job, love or any other thing that would make you stay in Poland. If you are willing to do it – you can! WHAT WILL I GET FROM EVS? 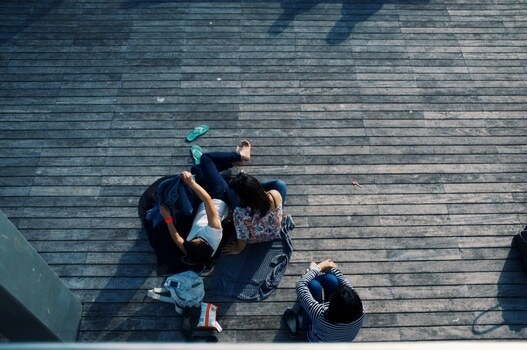 Besides a chance of meeting new people, living in a new place, doing some new things in your life – everything you need to become a team player and be more self-confident. EVS is not only about the voluntary tasks. It is also about spending some time abroad to get to know yourself better. After the EVS is finished you will receive the official paper on your EVS – the YOUTHPASS Cetrificate that will confirm your personal development and your stay in Poland. But what you will learn here – stays forever! SHOULD I APPLY IF MY EDUCATION IS DIFFERENT THAN PROJECT SUBJECT? It’s not only that you can – you should! It could be a great chance to gain new knowledge and develop skills. You will have a chance to try something new and we will help with that. You can use your personal skills and talents anywhere—it is all about the happy attitude and creative approach. HOW WILL MY WORKING DAY LOOK LIKE? It all depends where you will be a volunteer. Places like kindergarden or school are much more rigid than our office. 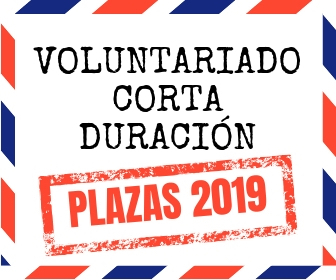 All the volunteers work the max of 30 hrs per week and we are trying to organi ze the work time from 9.00 till 15.00 in all places. Sometimes it may happen that the working time will be different but the information about it will come early enough to plan it. A normal working day of a volunteer is full of many all-the-time-changing activities (mainly in the kinder- garden). You will help the kids or youth in their everyday actions, you can organize your own activities with them, do some sport things, build LEGO or help in doing homework. In the office – you will have a chance to visit our partners, organize an event or prepare some information for our followers. Working day during EVS is dynamic. DO I NEED VISA TO TRAVEL TO POLAND? SHOULD I TAKE ANY DOCUMENTS WITH ME? It depends. If you are the citizen of the European Union country then there is no need for visa. If you live in the non-EU country then you will need to contact Polish embassy and receive visa before coming to Poland. We will prepare the official invitation for you. Taking it to the embassy increases a chance of receiving visa without any problems. CAN I WORK DURING MY EVS AND EARN MONEY? EVS volunteers are not allowed to work during their project. Also, they are not allowed to take part in other Erasmus + projects during their EVS. If you want to work or take part in something additional – it has to be after your EVS is completed. En caso de ser seleccionada ¿en cuanto tiempo habría que estar allí? viene escrito: Start on March 2018— The person would work in the kindergarten and we are expecting them to stay for sure till the end of June, with the possibility to make it till the end of August.